Due Diligence Investigation for Banks and Law Firms to Know Your Client With the Help of ISOG Private Investigator and Private Detective. ISOG offer due diligence services with different levels of depth of the investigation. ISOG private investigators and private detectives can do all the necessary investigations worldwide. In the last years, the possibility that individuals and international companies involved in money laundering, terrorism, drug trafficking or organized crime attempt to create offshore companies or open bank accounts to perpetrate illicit activities has increased. This has led the governments of most of the countries of the world to adopt specific anti money laundering laws and regulations. 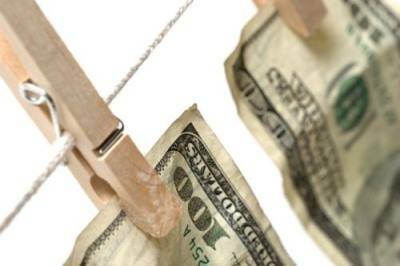 Anti Money Laundering refers to a set of procedures, laws and regulations designed to detect and report suspicious activities and transactions that may lead to terrorism financing, drug trafficking, human beings trafficking, tax evasion, and other criminal activities. For example, AML regulations require banks and financial institutions allowing customers to open accounts or getting credit cards to complete due diligence procedures to ensure they are not aiding in money-laundering activities. The onus to perform this due diligence is on the institutions. When a new client solicit the opening of a new bank account, the Compliance Officer of the Bank needs to investigate him/her in order to evaluate the risk of being used for money laundering. At the same time, the lawyer who is requested the creation of a new offshore company, is obliged to investigate the client to prevent the risk of being used with criminal intent. ISOG can help the bank and the lawyer investigate the personal, commercial and bank references; discover if the client is involved in terrorism, money laundering or organized crime; and check his/her criminal and civil background and credit history. Prevention is one of the measures that contributes to reduce the risk of being used by international criminals. Among the measures of prevention ISOG also offer its background check service to the client. ISOG private investigators and private detectives are expert in due diligence investigation for banks and law firms.